Our technical connection is Mondrian.and some functions are limited compared to DEMO, such as the flat form in layout options interface is missing，Compare views attachment6 and attachment8，and the function”add calculated value “in Fields interface is else missing.Compare views attachment5 and attachment7.so,Is this feature missing due to Mondrian connection method?If not, how is it consistent with DEMO’s function? Thank you for your question. 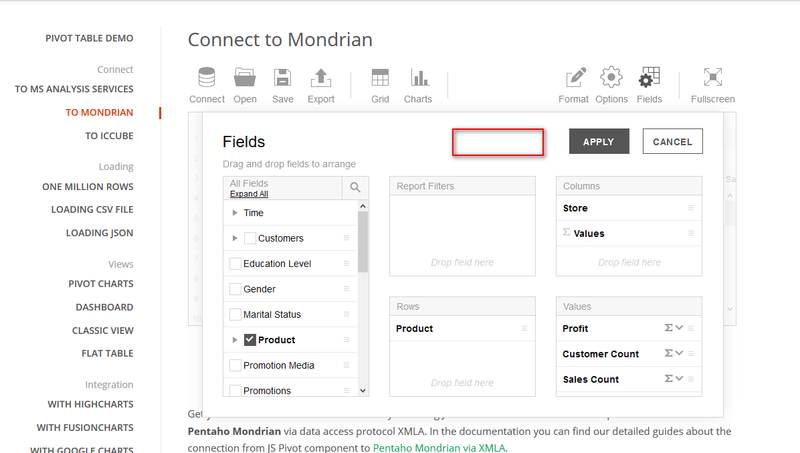 As you have mentioned, calculated values feature and flat view mode are not available for MSAS and Mondrian data sources. 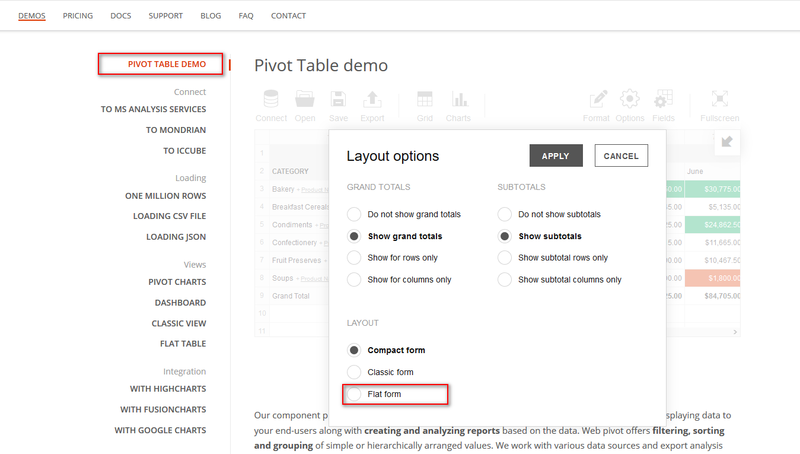 Our demo page provides all the spec of available features without any sort of limitations. The aspects described above are not supported for the cube data sources. 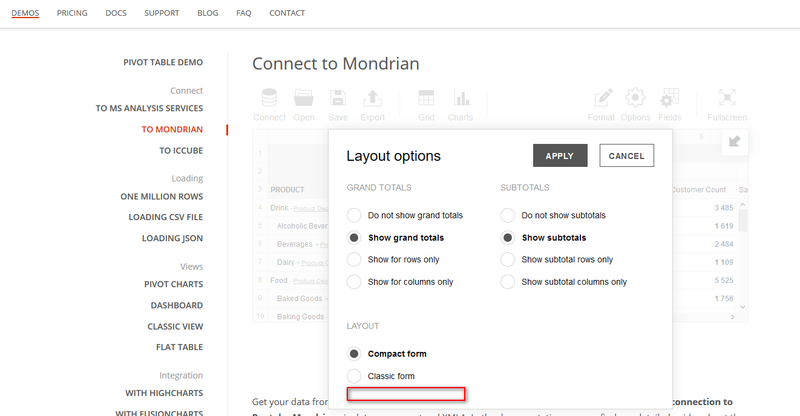 The recommended approach for using calculated values is to apply them on your side when configuring Mondrian schema.